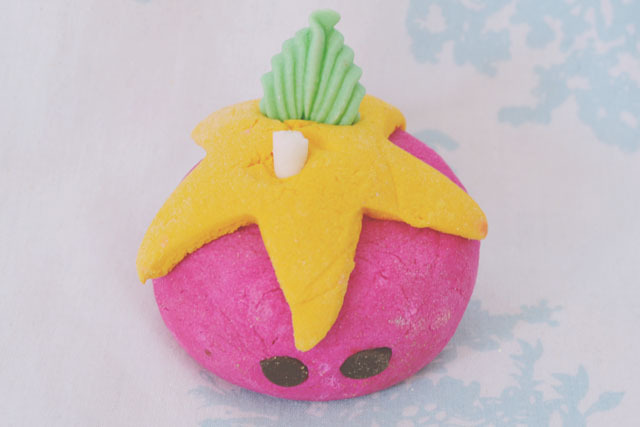 You all know I love my Lush products and, more than that, I love special edition Lush products! So when I walked into Lush Basingstoke and saw all the Easter and Mothers' Day products, I went a little overboard! I may have bought the entire range. The overwhelming fragrance of these collections as a whole is fruity citruses. 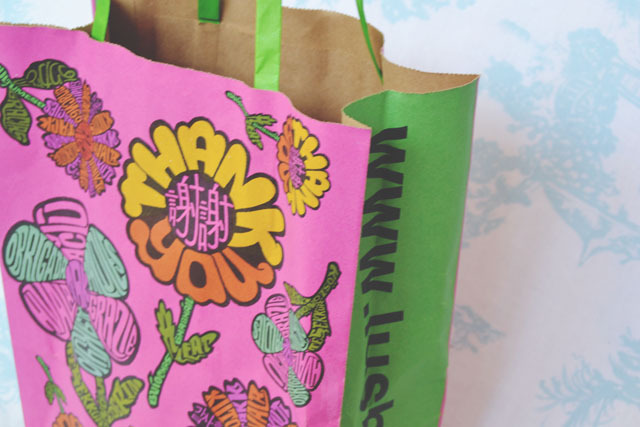 It's a very strange experience for me since I usually come out of Lush with a candy-scented bag. It's a very pretty bag though- Look at it! I wasn't sure if I liked the scent of this when I picked it up, but he was just too cute to resist! Look at his little face! Apparently, it's raspberry scented, but I didn't get that from it. It's more of a musty spicy fruit with a strong fragrance. Not really one for me but he is adorable! This ballistic has two sides: The blue "exhale" and pink "inhale" with two different fragrances. Inhale is a fruity fragrance with rose and ylang ylang, whereas the more slowly dissolving exhale has a muskier, woody scent of sandalwood and amber. The result is a really fresh, clean-smelling fragrance that is insanely relaxing. As it fizzed into nothingness, a little slip of paper floated upwards. It said "Inhale, lay under the water, listen to your heartbeat" and there was more writing cut off underneath. It easily ripped in the water, the writing was washing off, and there's very little mentioned about it online. Very odd! Rose was less fragrant than I expected. It's scented with the same fragrance as Amandopondo, so it's sweeter than most rose scents due to the lemon oil. I was really impressed with the bubbles from this. They were almost a foam- very soft and frothy! I'm much more a fan of the bubble bars than bath ballistics but, hey, it's always fun to have unnaturallly coloured, scented bath water! Secret Garden turns the water a bright grass-green shade which made me feel all springy! It's a very floral scent, with notes of marigold, orange flower and rose. 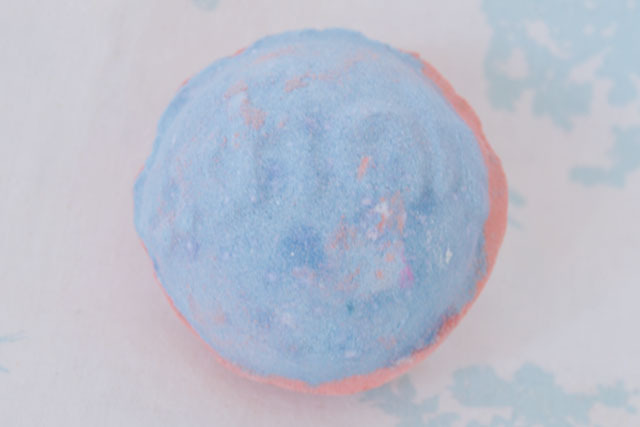 Apparently, it's partly made with bubble bar mixture but this made absolutely no difference- There was none of the promised foam. 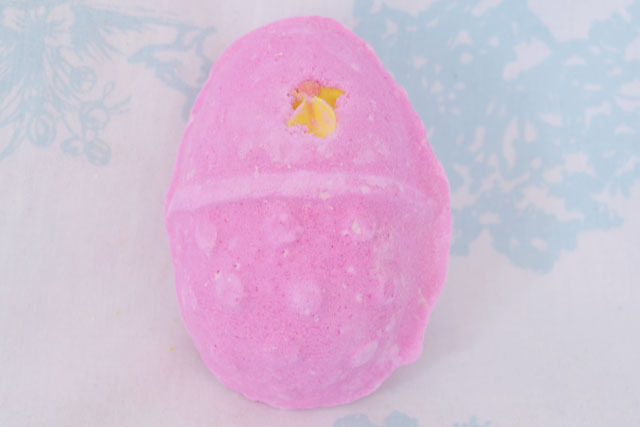 There is, however, a little surprise hidden inside the ballistic: A little flower bud, which is a cute touch but annoying to pick out of the bath! I love gold glitter products! Although they leave residue in the bath, and this one certainly did, it's just so much fun to swill around in a glittery, shimmery bath and pretend you're a mermaid. Even the bubbles created from Wonder Woohoo have a golden lustre to them. The orange scent is so strong and uplifting. It's lovely! 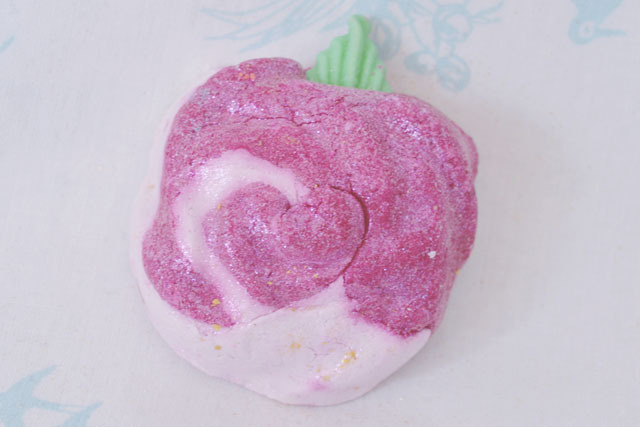 Lush are really digging the rose scents this spring. 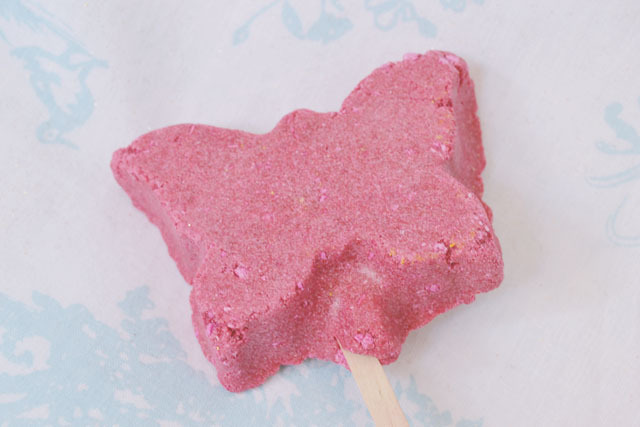 Madame Butterfly is a bubble bar wand scented with the same fragrance as the likes of the pink bubbleroon. This one lasts around 5 uses and creates a huge amount of bubbles. They last a long time too- About an hour before they begin to fade away. The girl in Lush Waterloo and I had a lovely little conversation about this product. It's advertised as a toffee and honey fragrance but there's a caramel note in there too. It all blends together to create a lovely sweet, but not sickly, scent. Perfect for those who want a sweet fragrance without the bubblegum candy elements that Lush usually favour. However, I did find that this bubble wand doesn't last as long as the other two before breaking down. I do love a good bubble bar. They're so easy to use and they last forever, although they are difficult to store. This is another fruity fragrance with bergamot and grapefruit oils. It also has tonka and cocoa notes so it's supposed to smell like a chocolate orange but I didn't find that with my one. Although it was nice, I didn't find it a particularly memorable fragrance. 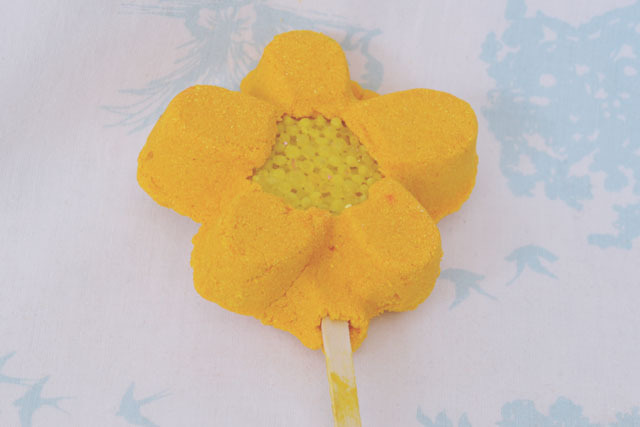 However, the label for this, and the other Mothers' Day bubble wands, are filled with wildflower seeds. How exciting! This was one of the first products to catch my eye. Look how pretty and glittery it is! As with all Lush's glitter products, it rubs off everywhere! In the bath though, it's not so bad. It's still wonderfully glittery and shimmery, but it's not like bathing in 90s glitter gel. I was left with some subtle sparkles on my skin too, which was nice. As for the smell, it fills the bathroom with the gorgeous smell of chocolate orange. Yummy! 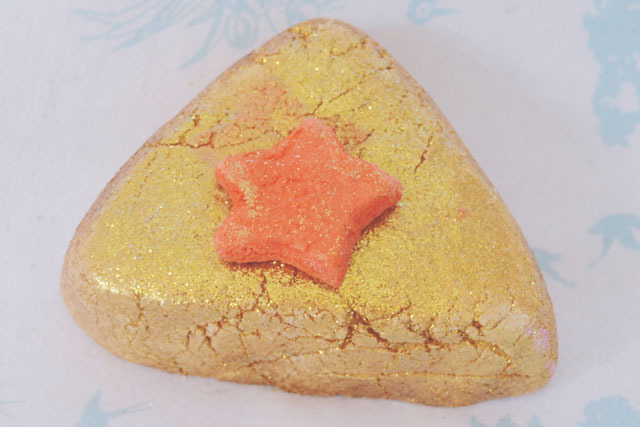 As a mixture of a bath melt and a bath ballistic, it's a little creamier than the usual ballistic but doesn't have the same moisturising qualities as a standard bath melt. Look at this cutie! 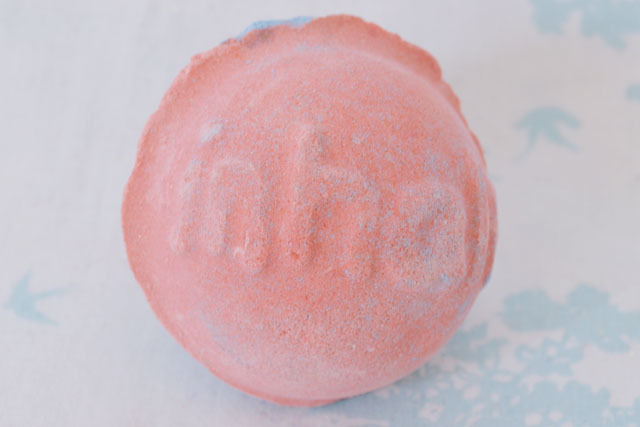 To be honest, I like the name almost as much as the bubble bar. I may have lay down in a bubbly bath saying "Bbbbubble bunny" repeatedly. Try it- it's fun! 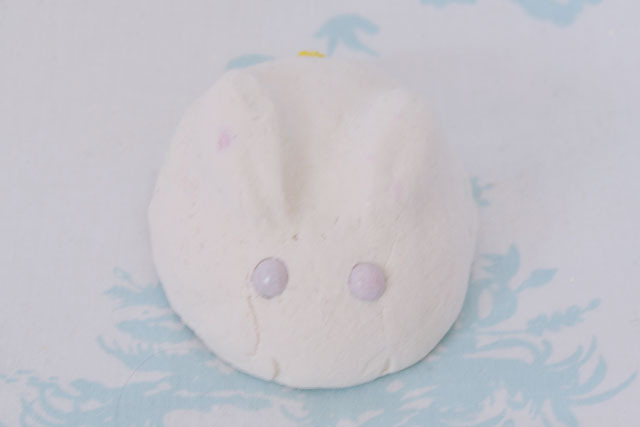 Bubble Bunny smells exactly like Creamy Candy so, of course, it's an instant favourite! And look at his adorable little face! The only thing I don't like about this one is that it's filled with blue cornflowers that float around in the bath water and are just a little annoying. 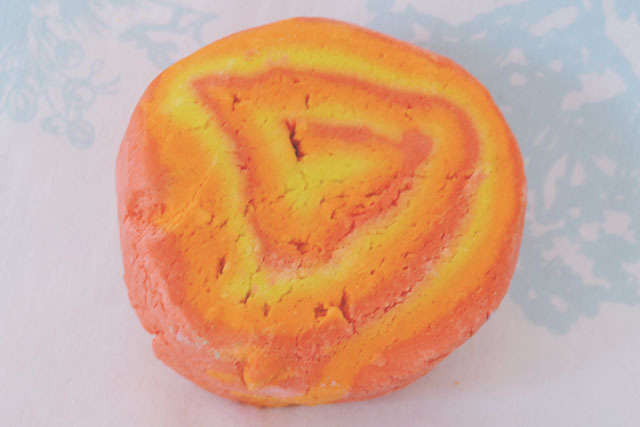 First off, this bubble bar is absolutely huge! It's a big old slab of a bubble bar and the smell is ridiculously strong. I had the Lush bag in my living room for a couple of days, and this made the whole room smell like orange juice. When in the bath, the smell intensifies even more. It smells like orange. That's the only way I can describe it. As orange as orange can be. It also turns the water bright orange so it's like bathing in Fanta. I love it! 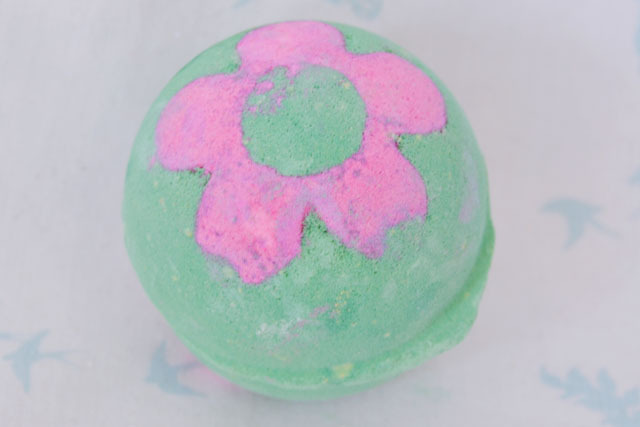 It's such a cheerful, uplifting fragrance and it produces an insane amount of bubbles too. When I bought it, the girl serving me said that they're making this part of the permanent range so that's very exciting! Brightside all year round! First of all, let's talk about just how fun this product is! They're actually like a bunch of carrots! 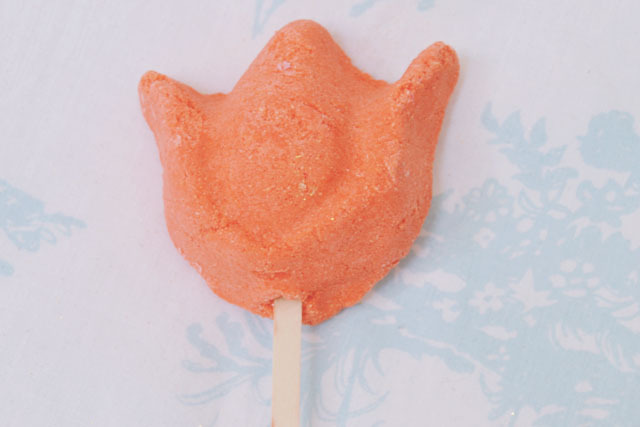 They work just like the bubble bar wands- You dip them in the bath and swish them around. 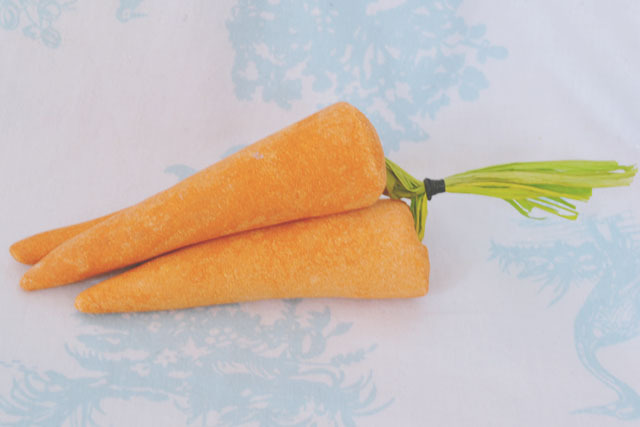 Unfortunately, one of my carrots fell off and became victim to the warm, swirling bath water. On the bright side, these last forever! I've currently used them three times and I still have loads left. I'd say I've got at least another three uses in it. As for the scent, it's a lovely tropical fragrance with notes of grapefruit and bergamot. I love it! First of all, I have no idea why it's called Fluffy Egg. There's nothing fluffy about it, although it is a cute name! Sniffing the egg in the shop, it smelt really sweet and candy-scented. You know how I love my bubblegum fragrances! 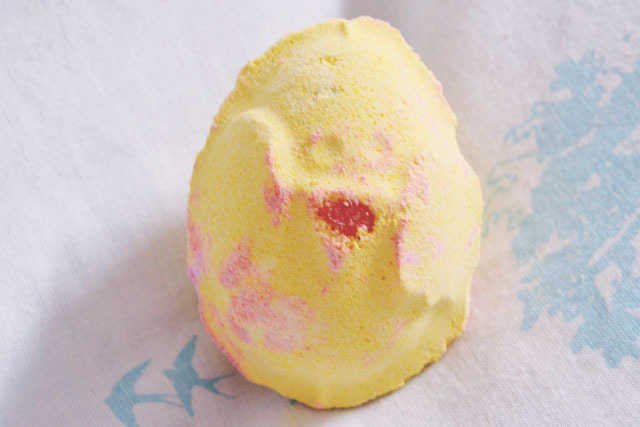 As soon as I popped it in the bath, it fizzed away, releasing the sweet scent but then revealed a second layer of fragrance which was almost a musk. It was a shame really, as it counteracted the lovely candy smell. However, it did turn my bath water the pinkest of pinks, and that was very exciting! (Edit: I just looked this up and found out it is the same fragrance as an old product called Candy Fluff, hence the name!). After the disappointing Love Locket at Valentine's Day, I promised myself I wouldn't buy any more overpriced novely bath ballistics (except Secret Santa, of course. I'd buy that every day of the year!). I managed to resist Immaculate Eggception for a long time. In fact, I visited Lush Basingstoke and Lush Waterloo- twice- before finally succumbing to its Eastery goodness. It just looked so pretty and I couldn't resist! However, I was actually pretty impressed. Even though I had a terrible cold when I used this, I could still smell the delicious musky vanilla and lemon scent. 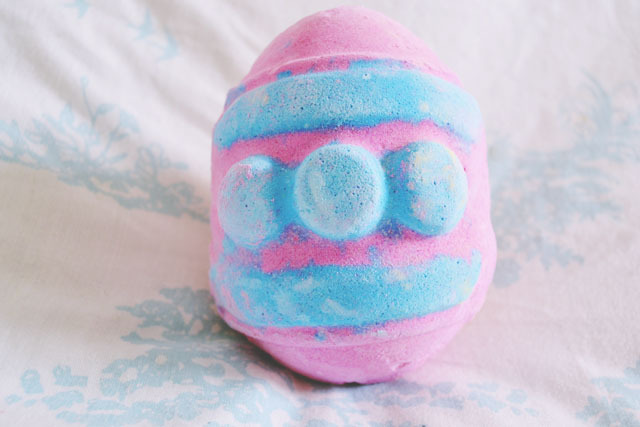 It fizzed nicely and not too quickly, and there is an adorable little chick bath bomb inside. Cheep cheep! Woah, that was a long post! It actually took me a whole month to write this up since it took so long to try everything. I do love a good Lush splurge! This season has had some wonderful products that I've already repurchased and I can't wait until next year! Oh my god...what a massive haul - I am beyond jealous! 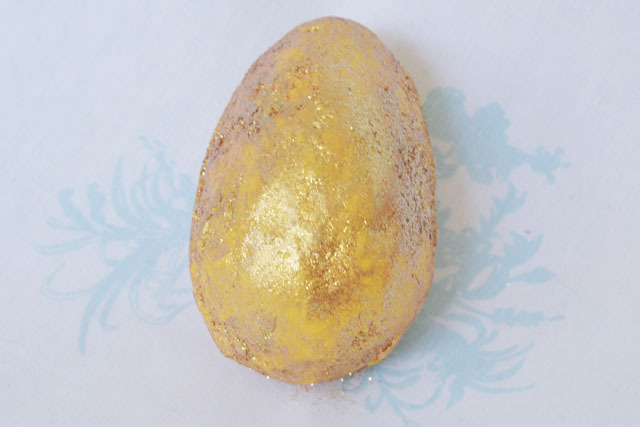 I used the fluffy egg last night and I really liked the smell; quite different to everything else. Kept smelling my arm like a weirdo once I got out of the bath, haha. Haha I do the ol' arm-smelling routine too!! Oh my, these are adorable. I have so much love for Lush. I definitely think I'm going to HAVE to get that golden egg one. Reminds me of Harry Potter. YES! That's actually perfect since Harry has to take a bath with his egg to reveal the song. Didn't think of listening for mermaid singing when I was in the bath! I'll buy it and report back, haha. 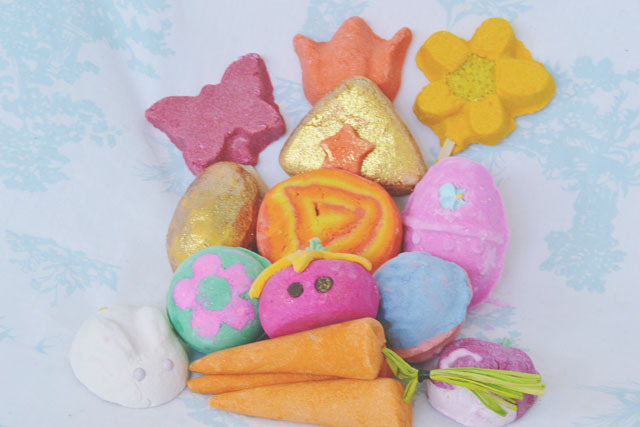 I've never owned so many Lush products at once, I'm currently swimming in my envy. I might be a little obsessed haha. I really need to reign it in! Ohh wow this is such an amazing haul! I love Lush products so much! Do you live in Basingstoke? I'm 15 minutes away! In fact, I was IN Basingstoke when you sent the link to that drawing of me. Weird!